Buying an Northeast Florida home—especially if it’s your first—takes attention to detail, even for home buyers with spotless credit. The challenge is a good deal greater if your credit score has dropped below the level most banks require to approve a home loan. The good news is that potential Northeast Florida home buyers with less than outstanding credit can still buy their first home—if. That “if” is in italics because ignoring it can turn into a real stopper. The thing that can make buying a home possible even with spotty credit is if you do some careful financial planning. Careful = details are attended to—every one. Financial = it’s about the money: columns of figures, dollars and cents—not emotion. Planning = charting out the specific effects of actions taken now. The first detail to be mastered is self-education: understanding the rules of the credit game. The most important factor banks use to determine mortgage eligibility is your FICO (Fair Isaac Corporation) credit score. FICO credit scores, which range from 300 to 850, are based on a number of factors. Two factors leading the parade are how much debt you have and your payment history. Usually borrowers need a credit score of at least 650 to qualify for a conventional home mortgage loan. 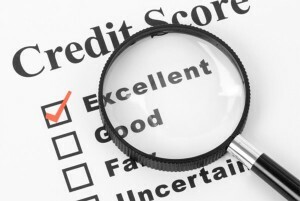 Although your credit score tops the list, it’s not the only factor. Banks will also consider the amount of money you can commit to a down payment. Too, various lending institutions have different rules for determining eligibility–and some offer non-conventional mortgage loans. When banks lend money, they are in essence taking a calculated risk that the mortgage-holder will be able to pay it back. The more money you can commit to a down payment, the lower the risk for the bank. If you have a low credit score, but offer to make a large down payment, you increase the odds of being approved. You can always put off a home purchase for a while to build a down payment fund. But you might have more set aside than you think. A 1997 change in rules allows first time homeowners to tap into their IRA retirement fund before the age of 59 ½ without penalty. Anyone who hasn’t had a financial interest in a home during the previous two years is considered a first-time homeowner. Another option to consider is a non-conventional loan. Northeast Florida first-time buyers with relatively low credit scores often follow this route. You may also be eligible for government help through the Federal Housing Authority. FHA loans help to ease credit requirements—for example, some recipients with http://money.usnews.com/money/blogs/my-money/2013/11/01/what-to-do-if-your-credit-score-is-too-low-for-a-mortgagecredit scores as low as 580 can qualify if they can afford a down payment of as little as 3.5%. It all means that a low credit score doesn’t necessarily mean you can’t buy that first Northeast Florida home. Call me for an introduction to a lender to start your pre-approval process today!